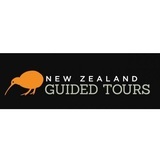 New Zealand Guided Tours offers escorted private New Zealand tours and package deals. Work with your own specialist New Zealand travel consultant who will design a highly personalised New Zealand holiday just for you. All tours include a private tour guide/driver, accommodation, private vehicle, must do activities, sight-seeing, chauffeur to from restaurants and tours, airport collection and drop-off.